The decision to establish the checkpoint, the selection of the site, and the procedures for operation are established by supervisory law enforcement personnel. This means that a couple of officers can’t just decide to set up a DUI checkpoint whenever they would like to. They must get approval from a supervisor first. Motorists are stopped according to aneutral formula. This means that an officer can’t randomly stop you at a DUI checkpoint. They have to use the same standard for all of the cars that come through. Adequate safety precautions are taken, such as proper lighting, warning signs, and signals, and whether clearly identifiable official vehicles and personnel are used. Essentially, officers have to clearly identify themselves. The DUI checkpoint cannot be another version of a speed trap. The manner in which a checkpoint was conducted and its duration reflect good judgment on the part of law enforcement officials. This is an incredibly subjective element, but nonetheless, the officers have to show that the length of the DUI checkpoint was reasonable. They are not allowed to operate a DUI checkpoint for days on end. The checkpoint must exhibit sufficient indication of its official nature in order to reassure motorists of the authorized nature of the stop. The DUI checkpoint must be clearly identified as a DUI checkpoint. The checkpoint cannot be a random checkpoint for anything the officers feel like investigating. Whether the average length and nature of detention is minimized. Law enforcement must set up procedures to make sure that they are not holding you longer than needed. Whether the checkpoint is preceded by publicity. Finally, for a DUI checkpoint to be valid, law enforcement must advertise that they will be setting up the checkpoint prior to doing so. The general idea is that if a member of the public knows about the checkpoint, they have the option of avoiding it. 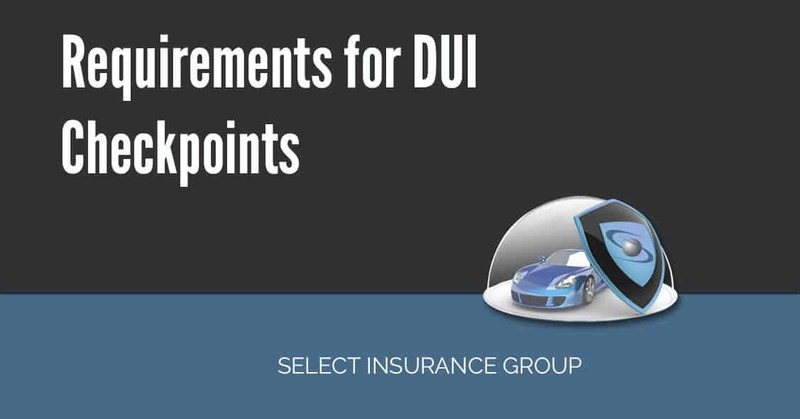 If they choose not to avoid it, then they have consented to the minimal intrusion created by the DUI checkpoint.